ORANJESTAD - The government of the Netherlands was granted a four-week postponement of the court case filed against it by the ousted former Island Government of St. Eustatius. The hearing is scheduled for November 20, at a yet-to-be-determined location. During Tuesday’s hearing at Gertrude Judson Bicentennial Library, the Dutch government conveyed to the Court via email that it had hired HBN Law in St. Maarten to represent it in the case and requested an extension of the case for lawyers of this law firm to familiarise themselves with it. The case may have wide-ranging legal ramifications with regard to the future of the ousted Statia government. The petition filed by former Commissioners Charles Woodley and Derrick Simmons and former Island Councilmembers Clyde van Putten, Reuben Merkman and Rechelline Leerdam seeks to have the Court declare any and all actions of the Dutch government which violate international law, and Article 73 of the United Nations (UN) Charter in particular, as unlawful acts and, as such, null and void. According to litigants, the UN Charter has established Statia’s right to a full measure of self-government. “This right is non-negotiable and unconditional,” they claim. 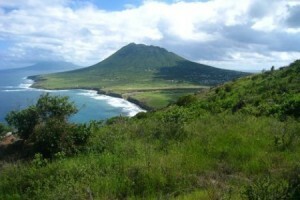 In the main proceedings, the Dutch government will be required to respond to the petition and explain to the Court why it feels that the Temporary Law Task Neglect (Wet Tijdelijke Taakverwaarlozing St. Eustatius), which, according to litigants, it unlawfully enacted to depose the democratically-elected government of Statia, is not in violation of international law, and in particular of Articles 26 and 27 of the Vienna Convention on the Law of Treaties and Articles 2 and 103 of the UN Charter. In its response to the charges, the Dutch government will also have the opportunity to dispute rulings of the Dutch High Court that obligations under the Charter are dominant obligations which always supersede any regional or national law. The five litigants also filed for material and immaterial damages, which are to include their salaries and other remunerations from when they were deposed on February 7, 2018. In case of non-compliance, they request that the Court impose a one-million-euro penalty, which amount is to be deposited in the island government’s coffers. Only Woodley and Van Putten were present Tuesday. Simmons and Merkman were absent due to work obligations and Leerdam is hospitalised. “I am proud to be here under Van Putten’s leadership as well as a Statian standing up for this cause at this time,” Woodley said to news reporters from Statia and surrounding islands during an impromptu press conference after the hearing. “What we are saying is, ‘put all your cards on the table, in the way it is designed to be played democratically and we will see if there is a lack of support or not.’ We are here for the long haul. We will not be deterred, we will not get tired, we will be here, and no one will overpower us. Restore democracy, have an election and we will definitely show you that we have the support of the people of Statia,” Woodley said. He extended his appreciation to their supporters on the island and abroad, as well as lawyers in the Netherlands, Curaçao and Aruba, who have assured him that what they are doing is correct based on international law. He thanked their supporters from other islands in the Dutch Caribbean, such as parliamentarians and ministers, for their encouragement. According to Van Putten, this case is like David and Goliath. “Statia is David and Holland is Goliath. We will be victorious, because Dutch national law, once again, cannot supersede international law and there is jurisprudence that underscores what we have presented here today,” he said.